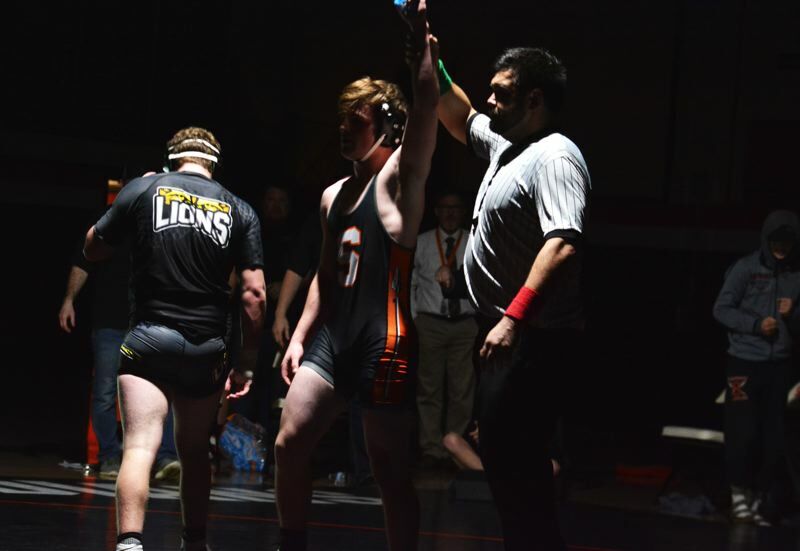 Over the last month and a half, the Scappoose wrestling team has taken every necessary step to put itself in position for Northwest Oregon Conference championship meet success. Each phase laid out by coach Nick Byrd and his staff was designed for peak performance in the postseason. And the Indians are in range for a big district showing. "This is the time when it's important to perform," Byrd said. "They're putting it all together, and for some of those kids, it's their final time to show how far they've come and how much they've improved. It's that time of the year when wins and losses matter. Leading up to it, it's 'What can I learn from it? How I can get better for the end of the season?' This is what you wrestle for all year. It'll be exciting to see how our kids meet that challenge." The district tournament begins Friday at Scappoose. The NWOC semifinals start at about 10 a.m. Saturday, with the finals slated for Saturday evening. Generally, most wrestlers who make it to Saturday will place in the district. Each weight bracket sends four to the Class 5A championship meet Feb. 22-23 at Veterans Memorial Coliseum. Byrd defines individual attainment by different standards. Each wrestler has his main goals in mind, ranging from helping the team score points with a win or two to bringing home a district title. "Success will be performing to the best of their ability," Byrd said. "If one of our guys has lost to an opponent twice this season, their goal should be to beat them at the district tournament. For other kids, it's punching their ticket to the state meet. For others, it's making sure they're a top-four seed at state." Stars such as AJ DeGrande (120 pounds) and Colton Frates (138) are hunting district titles and high state tournament berths. That said, each is in a grueling division, as the lower weight classes in 5A level are top-notch. DeGrande and Frates will have to fight like crazy to have a shot at placing in the top four. But Byrd said that won't faze either entrant. "The great thing about those guys is they like to compete against the best in the state," Byrd said. "They don't want to find a way to sneak through their weight class. They want to go compete against the best kids." Throughout the season, Scappoose standouts such as Cutter Sandstrom (285), Quincy Cleveland (220), Riyle Kauffman (182), Deacon Smith (170), Ashton Kauffman (126) and Brett Krieger (195) have made incremental jumps. They should be tough outs at the district tourney. This is the Indians' first NWOC season after moving up from 4A. No longer will Scappoose have to battle it out with Crook County and Tillamook for district places, but Hillsboro, Milwaukie and St. Helens make up a deeper, better conference top to bottom. Byrd said the Spartans and Mustangs possess both technicians and tough competitors. And, Wilsonville sports a number of individuals who could make the NWOC semifinals. 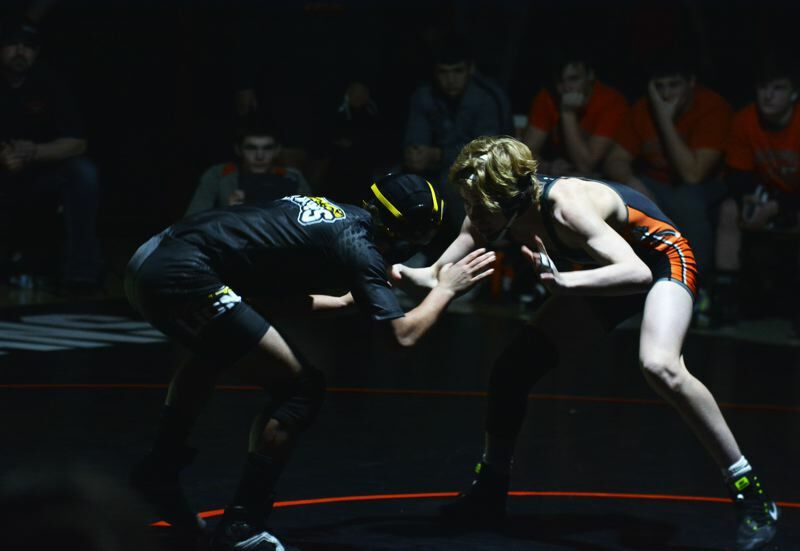 With a big, pro-Scappoose crowd expected and the fully supportive Indians wrestling community in attendance, one can expect an electric atmosphere throughout this weekend's tournament. "It's exciting for our athletes and fans to have this at our school," Byrd said. "We always welcome hosting tournaments like this. It's well worth it. "Wrestling isn't a sport you do for other people. Most wrestlers do it for themselves and their teammates. But it is pretty exciting when you get to showcase your performance and get on that big stage in front of your friends and family."